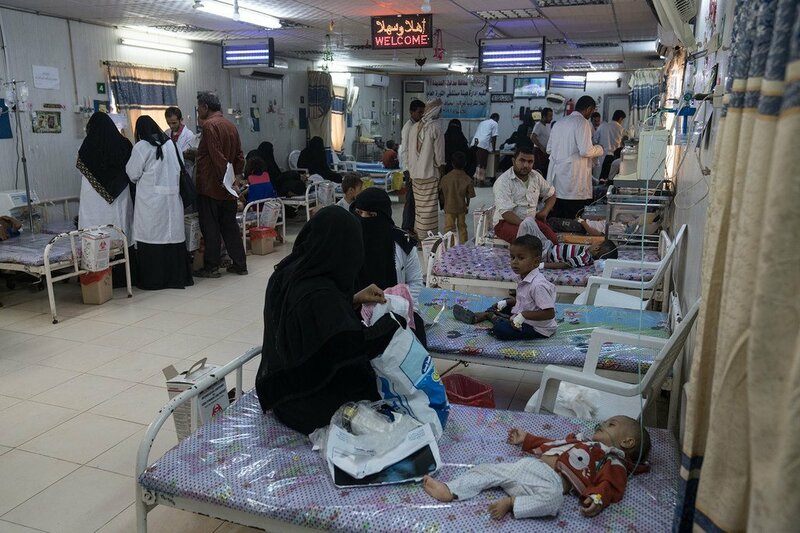 OCHA/Giles Clarke A file photograph of patients undergoing treatment at the Al Thawra hospital in Hudaydah, Yemen. The head of UNICEF went on to note that further escalation in fighting will jeopardize the agency’s efforts to deliver lifesaving assistance to many in dire need, including acutely malnourished children. The port of Hudaydah in war-torn Yemen is one of the few lifelines for humanitarian aid and fuel into the country.